…first a disclaimer: I am no licensed plumber. He ran for the hills when we tried to hire him, so this is what I figured out on my own. I am not saying this is the best way, just what I did. 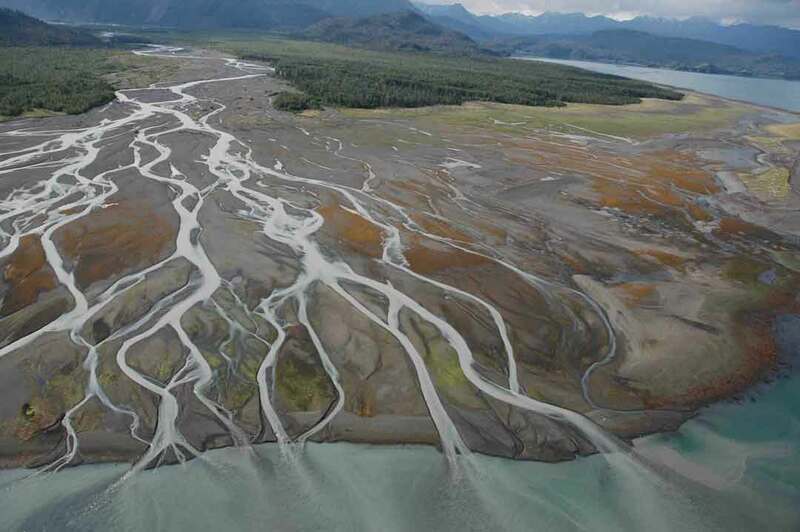 Of course, groundwater can have all kinds of stuff in it, too, especially with groundwater drawdown. That was the case here: the well water was brown, so they wanted the supply to run through the same filters. 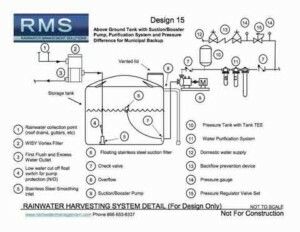 Normally you would tie in the main supply after the rainwater is filtered, as in the RMS schematic below. Either way, filter and drink at your own risk. Let’s start with the fun part, plumbing code! For potable plumbing, choices were copper, pex or CPVC. I used CPVC here. Also notice the unions, and the handles mounted on the board. 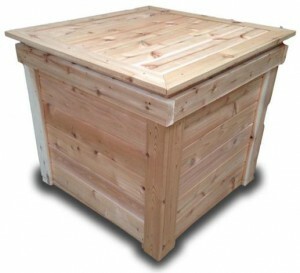 This is to have the option of removal since this cabin is not used in winter and the filter panel could then be easily removed and used in another location. Originally I was going to buy a Water Organizing Module (W.O.M.) from earthship.com, because they know what they are doing. it uses all regular PVC, or at least it looks like it. I have a ton of respect for them, and I based this overall layout on this. Why? They use rainwater 4 times before letting it go down the drain. 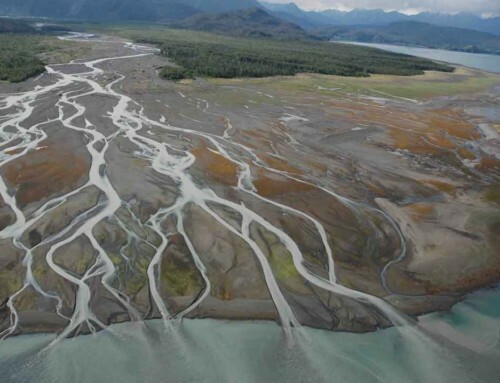 Get Mike’s book “Water from the Sky” and prepare to have your mind blown. Oh yeah, rainwater harvesting just might be illegal where you live. If so, I didn’t see anything 😉 And we may have a storage solution for you. More codes are being written and accepted for bringing rainwater into your home, because it’s kind of stupid not to. Besides the volumes of blah blah technical (but very important) data, a couple main requirements are: 1. a back flow preventer and 2. an air gap. 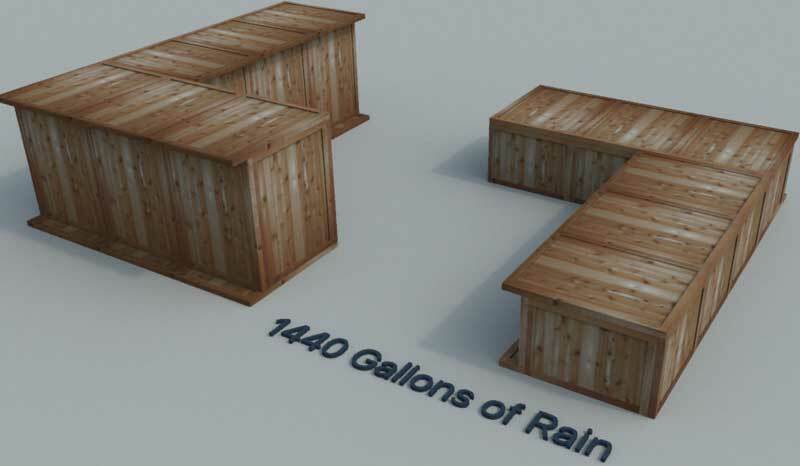 Whether you collect rainwater in rain benches, rain barrels, IBC totes or a garden shed, reducing runoff is only half the benefit. The fun part is using it. 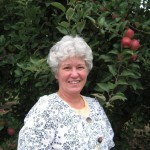 Most rainwater can be simply used for irrigation. Luckily, plants don’t care. They might even appreciate any added “fertilizer” in it. 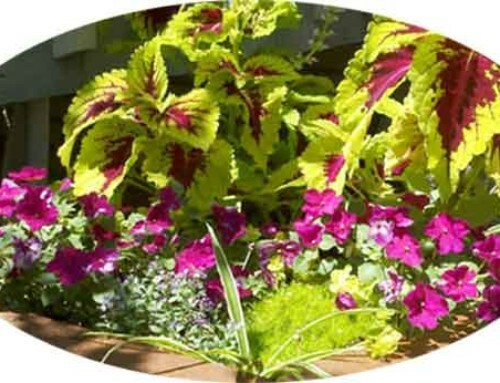 But if rain or snow melt is your only supply, or if you want the option to have clean rainwater when your current water supply is interrupted, here are what I understand are the best ways to do it, from the simplest homemade DIY to the more commercial products on the market, not necessarily in that order.. 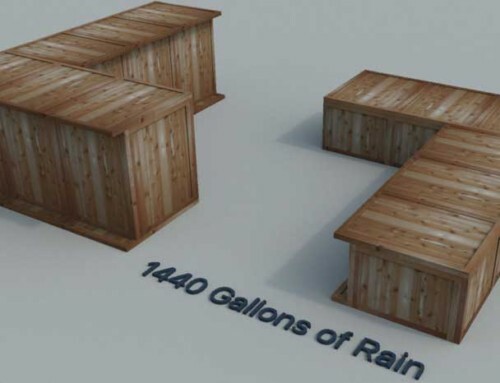 In a perfect world, you have the ideal roof for harvesting rain: metal. If you live in a perfect world, well congratulations! You get to happily skip on down to #2. If, however, you are like me and 92.4% of homeowners out there, you have an asphalt shingle roof. 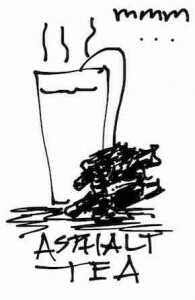 The last thing you want to sip on after a hard day’s work is a tall glass of hot asphalt tea. Take heart, there’s still hope. If you ever saw “The Garbage Warrior,” you know Mike Reynolds. I asked Mike at a seminar, “What’s a guy to do with a shingle roof?” He said, “Coat it with acrylic.” So that’s what we did. 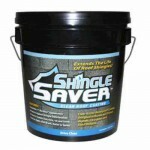 Acrylic roof coating; lots of brands out there- I used a product on this roof called ShingleSaver. It isn’t cheap, but it coats your shingles and keeps a large majority of those little crumbs and chemicals from running right straight into your drinking water, or on your veggie garden for that matter. This is basically a leaky tank; it takes out the worst of the runoff, that first 10 or 20 gallons of rain that washes all the crap off your roof or gutters. After it fills with swill, the clean(er) rainwater you want to keep is then redirected into the water storage device of your choice. 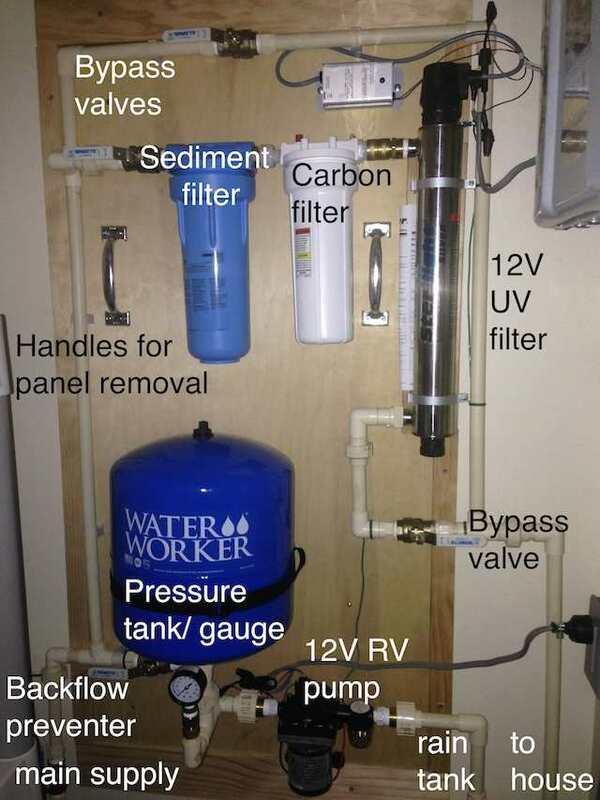 I used a series of 3 first flush filters, 1 from a kit (cost about $30) and 2 homemade using PVC, for this project. After the rain is done, the first flush slowly “leaks” out and is ready to take the “first flush” out of the next rain. 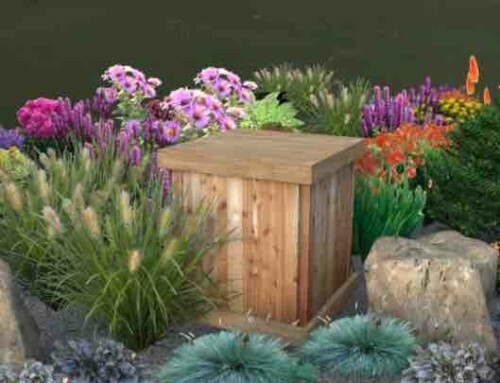 This can be a barrel, a tank, a rain bench, whatever, and if your first flush is adequate, it’s not absolutely necessary. In the picture below (source: tamu.edu), you see how the first tank has the most sediment. That’s what you want.. Important notes on the above graphic: The incoming water comes in at the bottom, not falling in which would stir up all the sediment on the bottom every time it rains. Also, all of these tanks feed to the same pump. If separated for use, the left would be better for irrigation and the last on the right will be the cleanest for drinking. 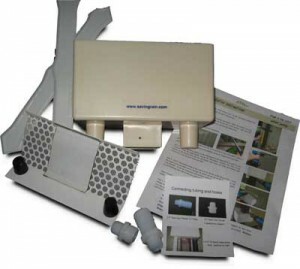 One best practice for drinking rainwater is using a floating suction filter to pull water from the middle of the tank, not from the surface and not from right off the bottom. The idea is that the cleanest water in any given tank is just below the surface. 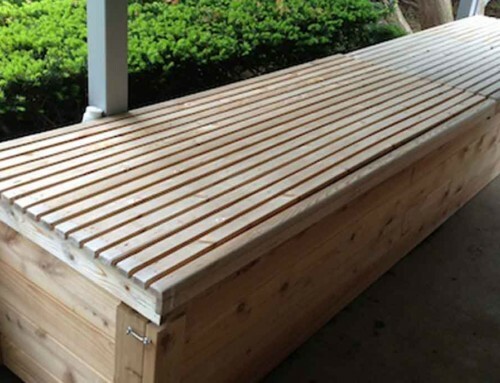 Food grade (FDA approved material), either glass (ideal, but not likely), stainless steel, fiberglass, coated concrete or plastic lined (most economical). 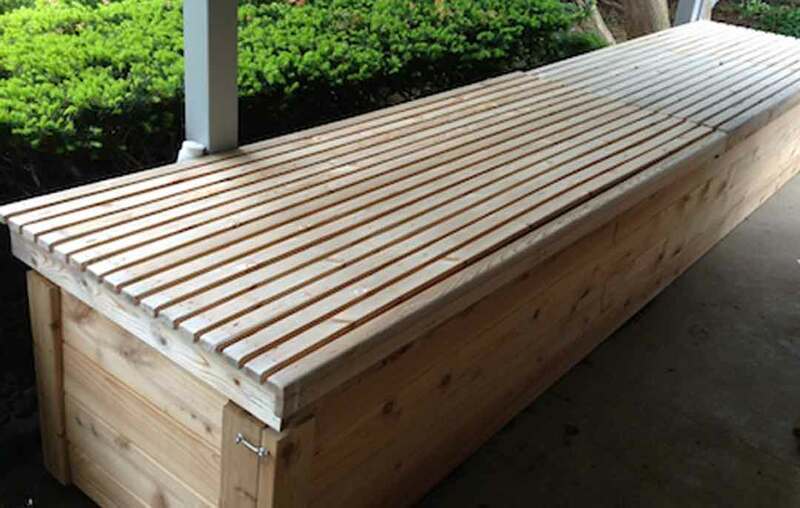 Not allow any sunlight to reach the water, as this will grow algae. Again, the cleaner the rainwater is before it enters, the less to filter coming out (hint: this lowers maintenance). A simple option is a gravity filter (see #6 next), but I needed to tie it into the supply because the well water is pretty unreliable. The filters are pretty important to get right, so I leaned more toward over-filtering than under, with either a UV filter (if you use a pump for pressure and have ample power supply for the UV light), or a Doulton ceramic filter. If you can use both, go for it. Better safe than sorry! I have used both types on different projects, and I like the Doulton Rio 2000 6 candle ceramic – with a clear standard housing so you can see when it needs to be cleaned. You can clean the candles over and over, which is nice. Just be careful. They will shatter if you drop them. This is where it gets tricky, because in order for the UV or ceramic filter to be super effective and last a long long time, you want to take as many particles as possible out of the water. This can be done with replaceable 5 micron, then 1 micron or smaller sediment and carbon block 10″ filters (the standard size available), but I’d rather use a series of Rusco “spin down” mesh filters, which are easily cleanable and therefore do not require replacing any cartridges. These are used in the Earthship system, from 500 to 1000 mesh (15 micron). NOTE: I have since replaced some of the CPVC with flexible tubing per the pump manufacturer – so everything doesn’t pick up its good vibrations.. Put both the UV filter and the pump on a switch, so you do not have pressure, or water, unless you turn both on. Yes, it is a hassle compared to just always having water pressure, but the alternative is you drain your power supply and then you have nothing! And come on, you’re living off grid and you have filtered, pressurized, free drinking water. It’s not so bad to flip a switch. Speaking of pressurized, if you’re looking for a good pump for constant water pressure, I have used a couple with success. The first, a Wayne 1/2hp transfer pump, is cast iron and is the longest running that I have installed, since 2009 and has weathered freezing every winter. Shurflo also makes a 115v pump, that I have not used yet but it looks like the folks over at Earthship Biotecture are currently using. Those guys have been at this a long time, so I put a lot of stock in what they are doing. I have met Michael Reynolds and read all of his books; the guy is absolutely brilliant. Ultraviolet light (UV) is extremely effective against Cryptosporidium, but high doses are required to inactivate some viral pathogens. In addition, UV systems do not maintain a disinfectant residual in your plumbing system. Free chlorine is very effective against viruses but is virtually ineffective against Cryptosporidium. 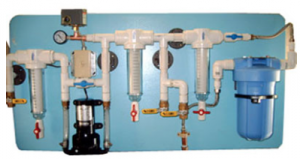 In addition, it is easy to maintain and measure a free chlorine residual in your plumbing system. That’s pretty much it, now don’t waste it, i.e. 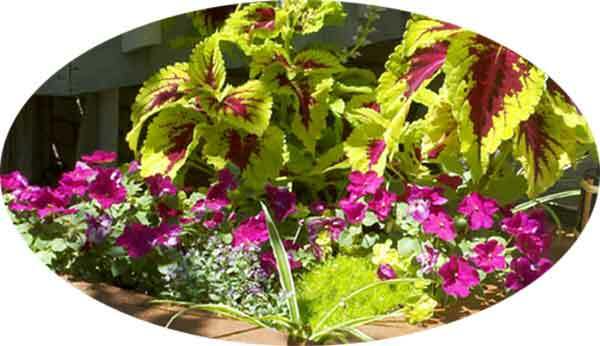 try not to water your lawn or plants with drinking water, or flushing the toilet for that matter. What if it doesn’t rain? For now, Google “Laundry to Landscape” and follow Art’s plans. Genius. Simple. 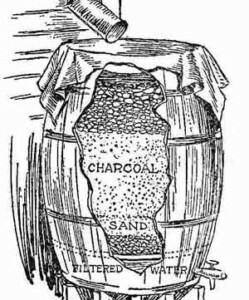 Straight out of one of the oldest homesteading books out there, this slow sand filter design is the basis of many commercial filters available now, and goes back to recreating nature, or at least trying.. Along those lines, there is an even simpler way to disinfect water for drinking called the SODIS (“solar disinfection”) method. 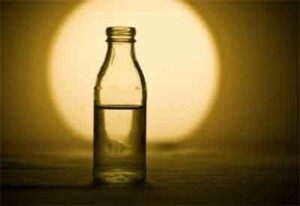 It has been scientifically proven that if you sit a clear bottle of water in the sun for 6 hours, it’ll be drinkable. So… there’s my 6 cents! I hope this helps a little to see what some guy did on an island (sorry no, not Gilligan). If you have any questions about how I did anything else in this system that I haven’t explained here, shoot me any questions over at our contact page here: Hey, Scott! Your UV filter is plumbed backwards. The inlet should be at the bottom and the outlet at the top. Less turbulence and flow is more controlled. Check the manufacturer’s instructions and you will see that I am right. Thanks, Jack! The instructions are actually at the location of the filter, and we are removing this anyway, adding a ceramic filter. The UV light drains too much power when on continuously. Do you have a solution for automatic operation, so it only turns on when water is flowing but shuts off when flow stops? We were thinking possibly a pressure switch like the pump, but the time water is flowing before the pump kicks on would also then be before the UV light turns on, so not consistent… Appreciate the feedback! The pump shown and used on this panel, a 12v with an automatic pressure switch, seems to keep up very well pulling water from the tank, through the filters shown and giving full flow to faucets and shower, although I have not tested it with multiple faucets open. I’m sure pressure would be reduced then. 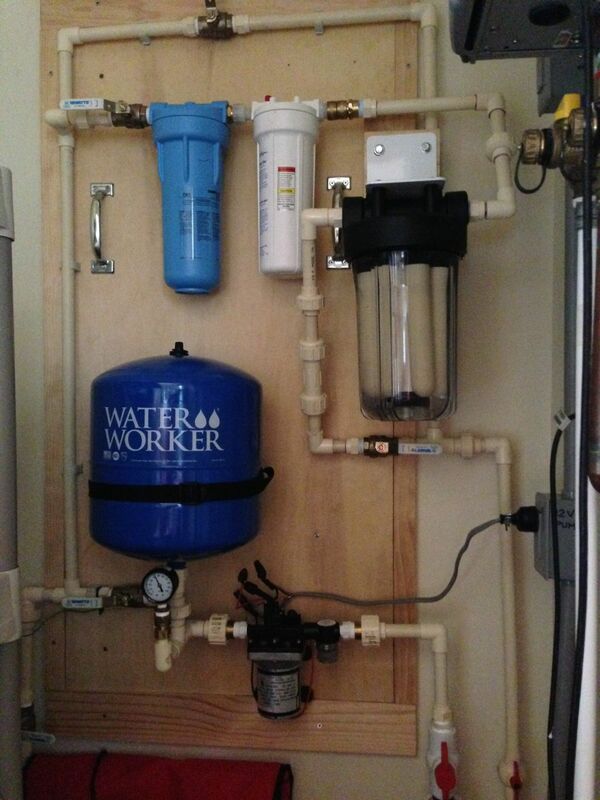 To be clear, this particular application is on an off-grid cabin on an island, and the rainwater being used has already been collected by 2 diverters, 3 first flush filters and stored in a 600 gallon tank. This set up is a potential disaster and a health hazard. Even if this would pass local plumbing codes, which I highly doubt(I am certain in most of the continental US you are not allowed to connect a non-potable water source to a potable especially a city supply) there are several huge no-nos here. 1. The unfiltered rain water shares the same pipe as the freshwater on the left most vertical pipe. Say you ran rain water through that with contaminates, then switched back to fresh water. That section of pipe is no longer clean. 2. Having a pump before the filter is asking for trouble. 3. The way these valves are set up and this is plumbed in, you could easily accidentally open the rainwater to be pumped by force back into the fresh water side. There is no failsafe and people make mistakes. Any spot that could allow rainwater back into the freshwater side would have to at the minimum have a spring check valve and should have a backflow preventer. The only way I would even attempt to do this (and I wouldn’t) would be to have the rainwater and fresh water systems/piping connect to the main lnlet to the house via a 3-way ball valve so that it is impossible to have an open loop from one system into another. What I would do if I were in the island situation is have the freshwater source pumped into the rainwater tank with an appropriate air gap. That 100% eliminates the possibility of contamination and reduces all the valves and piping by more than half. The drawback is, you would have to set up a float valve or something similar to automatically keep the tanks full while not wasting water by overflowing them. Sorry if I don’t have the full context but am just going off what is on this page. I happened across this picture(second from top) on Pinterest and wanted to make sure anyone who was thinking of doing this got a professional engineer’s advice first. Good call, Daniel. Thanks for the well thought out comment. You may not have noticed the backflow preventer you suggested is labeled on the bottom left of the photo above, and it’s not very visible (the lighting is very bad in this room). Agreed, this is certainly not a professional plumbing advice page – also tried to clarify in the first sentence – but although we could not get a licensed plumber to even take on this job, I was able to get one to come out and look at this setup after I completed it. He approved of everything other than the few pieces of regular PVC on the supply sides that should be CPVC like the rest of the filter panel. Also important to note: the private well here is in terrible shape, officials wanted to condemn it and the water coming out of the ground is horrid, so we weren’t too concerned about rain contaminating that. They needed a filter setup either way. I will likely update this post and fill in more details for all’s safety and information sake, and thanks again for commenting! 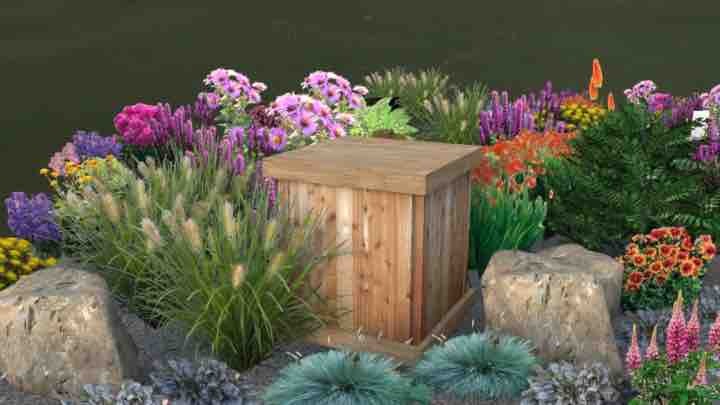 1) All cisterns shall be listed for use with potable water. Backflow assemblies shall be maintained and tested yearly. The test results shall be provided to the Water Bureau.